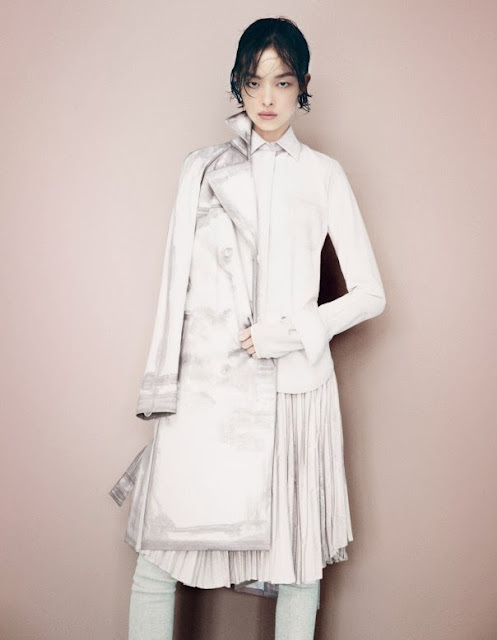 Chinese top model Fei Fei Sun makes a "Clean Getaway" in the November 2013 issue of W Magazine for an editorial lensed by photographer Patrick Demarchelier. 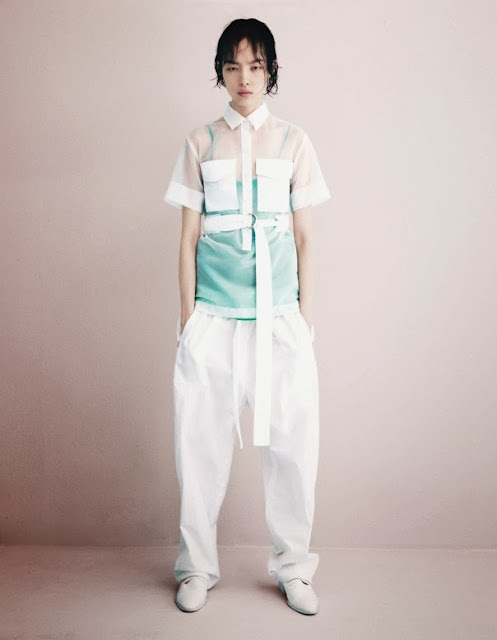 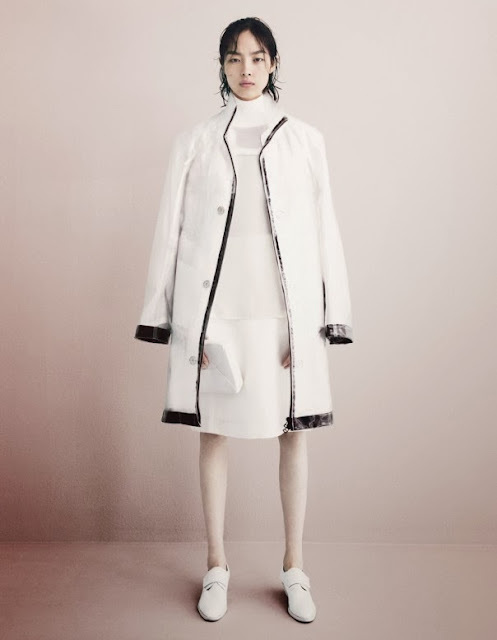 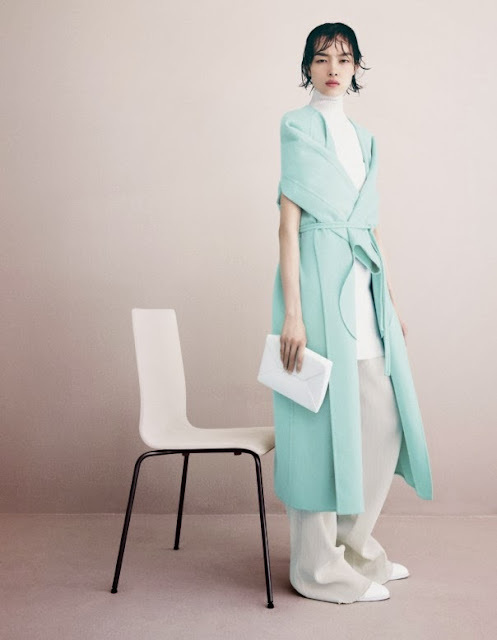 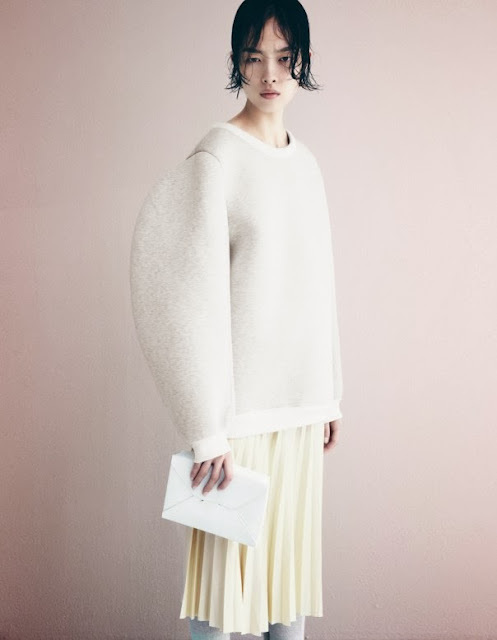 The 24 year old Weifang native looks as pretty as a picture as she poses in white ensembles from the Fall/Winter 2013 collections of Céline, Martin Maison Margiela, Louis Vuitton, and Calvin Klein with glimpses of pastel in baby blue and lemon meringue hues styled by Marie-Amelie Sauve. 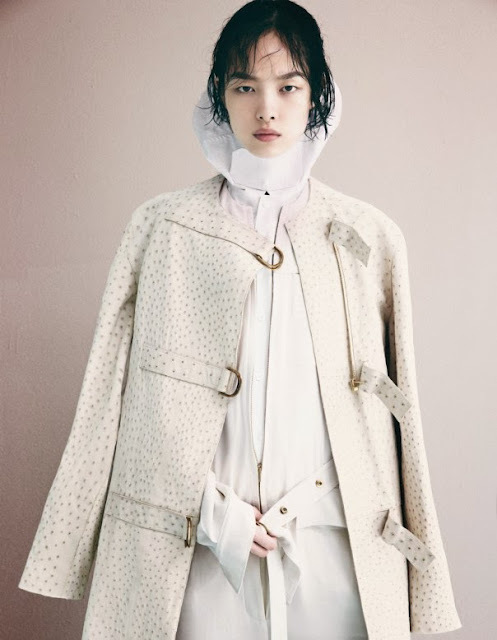 Discovered in 2008 via Elite Model's Look of the Year competition, Fei Fei Sun has emerged as one China's most luminescent modelling stars. Fei Fei Sun's blue chip appeal shone ever so brightly throughout 2013 with highlights including a solo Vogue Italia cover, appearances in the American, British and Chinese editions of Vogue, and campaign clients including Giorgio Armani Beauty and Prada. 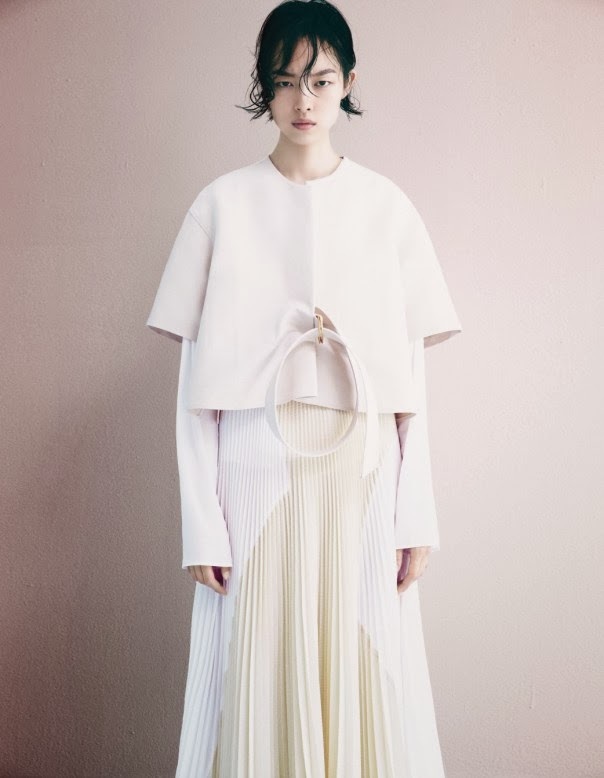 Throughout the Spring/Summer 2014 collections Fei Fei Sun displayed a stunning evolution from baby faced ingenue to a confident young woman brimming with a simmering sensuality during her 46 show appearances including Alexander Wang, Proenza Schouler, Gucci, Versace, Jil Sander, Balenciaga, Céline, Chloé, and Alexander McQueen.